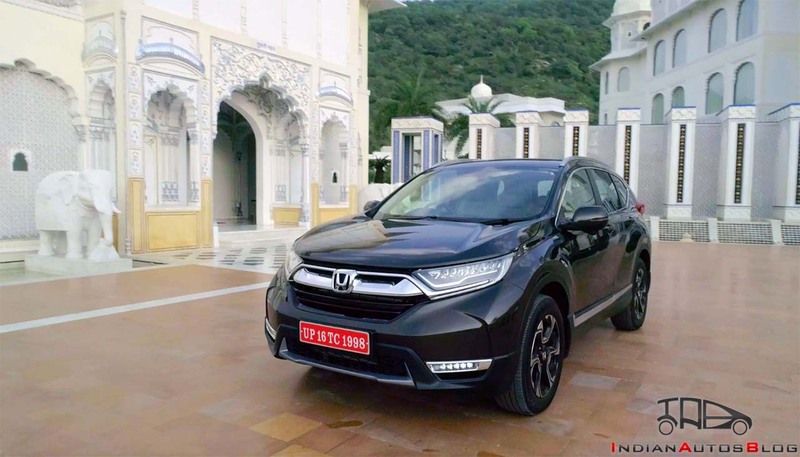 Honda Cars India will launch the fifth generation of the CR-V next month. With over 9.9 million units sold worldwide, arguably the world's most favourite SUV is a force to reckon with. Its sales performance in India, however, has been far from glorious. With only 17,600 units sold over the last three generations, the Honda CR-V needs a shot in the arm. Well, the 2018 Honda CR-V could be just what the doctor ordered. As per the manufacturer, 90% of all premium SUV and crossover buyers opt for Diesel power. Moreover, for most buyers, a seven-seat layout is a pre-requisite. No surprise, then, that the carmaker has finally added an oil-burner to the list of engine options. Oh yes, there’s a third row of seats, too. Our 2018 Honda CR-V test drive review sums up all there's to know about the new model. Honda’s latest design language defines the aesthetics of the new model. Still, it’s tough to mistake this crossover for anything but a CR-V. That said, the mk5 CR-V looks fresher and a tad bolder than its predecessor. The full-LED lighting fixtures make the car look contemporary while the neat creases on the well-sculptured hood impart a touch of boldness. The side profile has the strongest connection with the last generation. A softer shoulder line and the longer wheelbase helps you differentiate the two iterations. The stylists have been quite generous with the usage of chrome. Most, however, would find it tasteful. The rear-end is a radical departure from the earlier version. 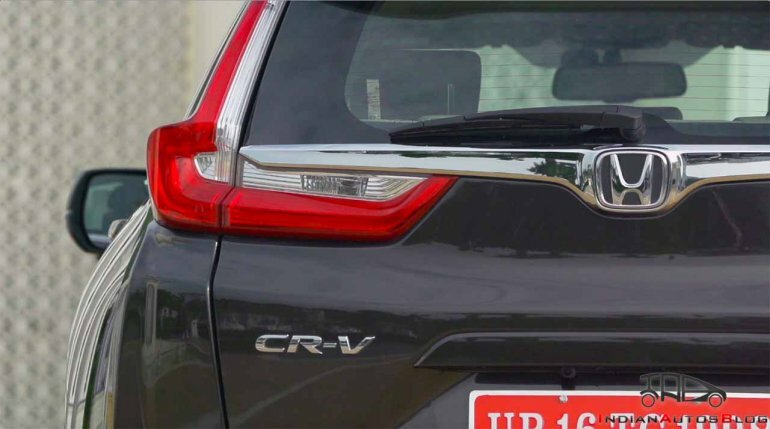 The L-shaped all-LED tail lamps lend a touch of sophistication to the new CR-V’s posterior. Akin to the exterior, every bit of the interior is fresh. There's ample usage of soft-touch plastics and high-quality faux wood inserts. A 7-inch infotainment unit takes centre stage on the dashboard. The touchscreen interface is very responsive, with the large font size further making it very intuitive to use. Our only grouse is with the size of the screen. A slightly bigger display could have enhanced the entire user experience. The horizontally calibrated tachometer of the all-digital instrument panel is a neat retro touch, while the temperature- and the fuel-gauge seem to have come straight from the Star Trek-franchisee. The front seats are supremely comfortable. The driver’s seat is electrically adjustable while the passenger seat makes do with manual controls. The middle-row seat, however, is a mixed bag. The legroom is quite generous but anyone taller than 5’10’’ would desire extra headroom. This is an issue with the diesel variant only, mind you. The positioning of the air vents for the third row is such that even the slightly tall passengers would invariably hit their head on the roof. 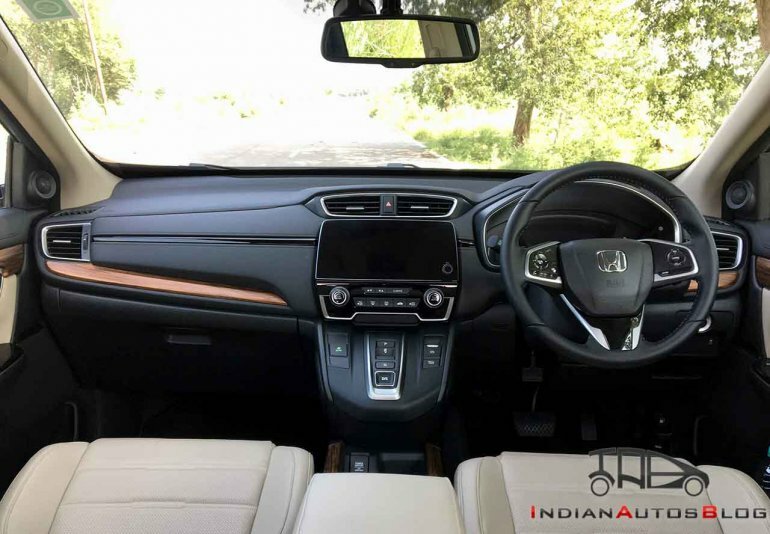 The petrol variant, which will be available in a 5-seat configuration only, provides ample headroom for the passengers in the back seat. The yet-to-launch fifth-gen CR-V has already made much news for the third row of seats. Getting into and out of these seats takes some athletic ability as the entire process of folding the middle-row seat and flipping it out of the way is a somewhat tedious process. Furthermore, the legroom in the third row of seats is conspicuous by its absence. With all the rows of seats in place, the diesel variant provides only 150-litres of boot space. This can be boosted to 472-litres by folding the third row and to 936-litres by folding the second as well. The petrol model offers 522-litres of boot capacity, which can be enhanced to 1084-litres by folding the second row. 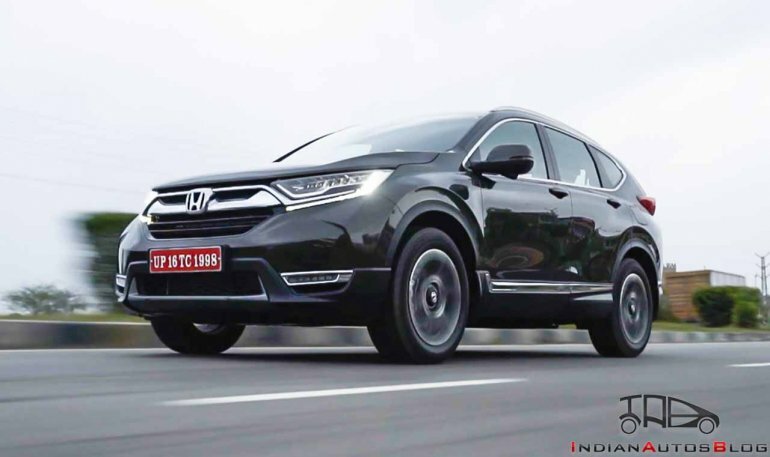 The fifth-gen Honda CR-V has scored a 5-star rating in the ASEAN NCAP test. Safety equipment on offer includes 6-airbags, ABS with EBD, ISOFIX child seat mounts, Traction control, Brake assist, Hill-start assist, Driver Attention Monitor and LaneWatch. 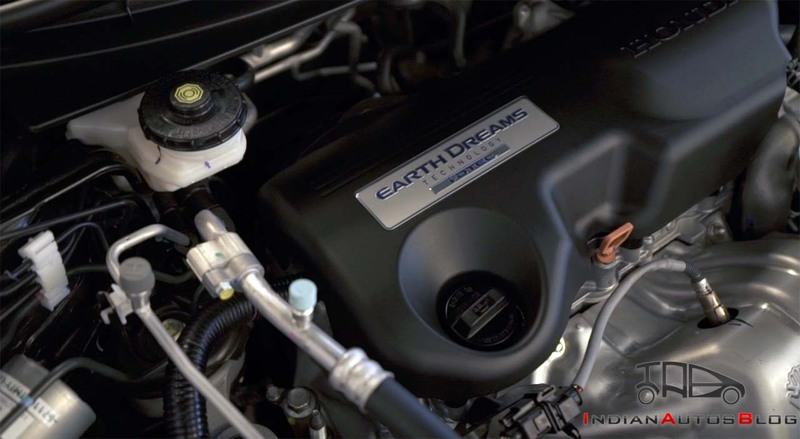 The 1.6-litre i-DTEC diesel engine offers a maximum power of 120 PS @ 4,000 rpm and a peak torque of 300 Nm @ 2,000 rpm, which makes it significantly less powerful than most of the rivals. High performance isn't the CR-V diesel's forte, but you'll be impressed with the refinement on offer. The lack of outright power is never felt during intercity usage or highway cruise. Much of this is owing to the ZF-sourced 9-speed automatic transmission. 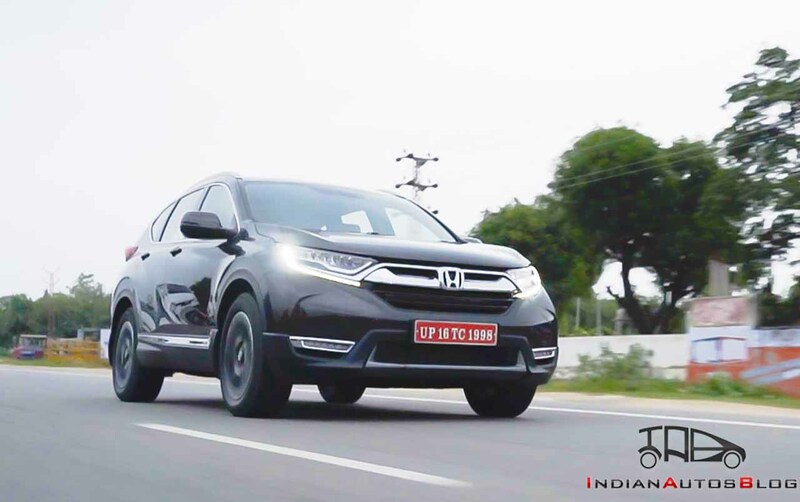 The short initial ratios lead to a brisk acceleration, while the taller higher ratios help the CR-V become a comfortable mile-muncher. The lack of outright power becomes apparent only when planning quick high-speed overtaking manoeuvres. For the most part, the drivers are likely to appreciate the smoothness on offer and the minimal turbo lag. The Honda CR-V diesel has an ARAI-certified fuel efficiency of 19.5 kmpl and 18.3 kmpl for the 2WD and 4WD variants respectively. The 2.0-litre i-VTEC petrol engine outputs a maximum power of 154 PS @ 6,500 rpm and a peak torque of 189 Nm @ 4,300 rpm. The engine comes mated to a CVT, whose rubber-band effect plays spoilsport if you go hard on the throttle. Moreover, flooring the accelerator is accompanied by the additional noise from the pullies of the CVT. While the diesel variant is available in 2WD and AWD configurations, the petrol version is available in a 2WD format only. It boasts an ARAI-tested fuel efficiency of 14.4 kmpl. The new Honda CR-V offers an excellent ride quality. It glides over most of the undulations, and the high-speed stability is remarkable, too. The sufficiently luxurious cabin and the decent ride quality make the CR-V an excellent highway cruiser. The handling, while predictable, isn't as sporty as that of some of the German rivals. The steering isn't utterly devoid of weight but offers little feedback. The body-roll is well contained though. 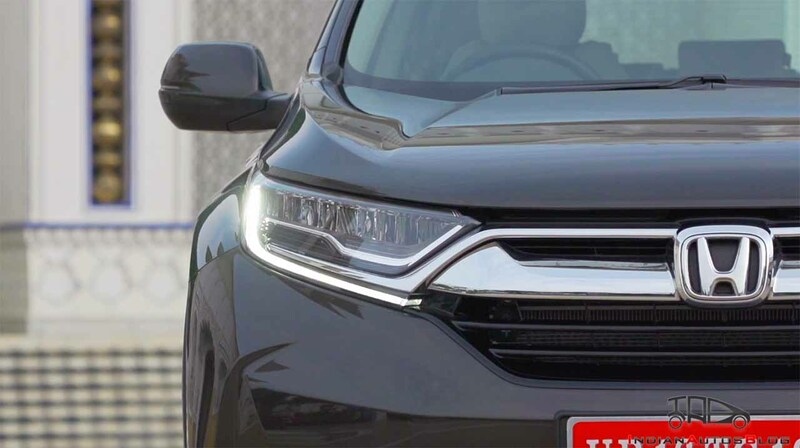 The 2018 Honda CR-V gets powerful disc brakes on all four wheels. The 2018 Honda CR-V is a remarkable improvement over the earlier iteration. It looks more modern, feels more luxurious, and is a lot safer. More importantly, it gets the much-required diesel engine option, which brings us back to our question - Does the new model finally have all the bases covered? Mostly, yes. An impractical third row of seats notwithstanding, there's little that we can hold against the new offering. Sure, a more communicative steering and a punchier diesel motor would have made this the perfect recipe, but for most families, the high fuel efficiency, along with a plush cabin, would work just fine. So then, the 2018 Honda CR-V comes across as a balanced equation.